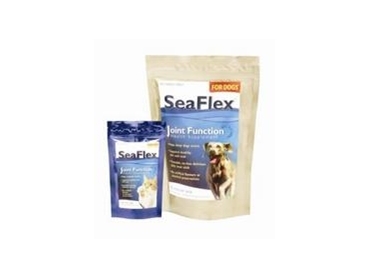 Value Plus Animal Health Care Products Pty Ltd introduce the SeaFlex bio-marine nutritional supplements. These nutritional supplements are rich in important anti-oxidants, marine carotenoids, amino acids, marine trace minerals, branch chain fatty acids, high levels of vitamins and minerals, as well as a unique patented deep, cold water source of marine nutrients. They also have a chewable treat formulation (sticks for dogs and kibbles for cats), which is very palatable for the animals. SeaFlex bio-marine nutritional supplements are made with only select quality meats and human-grade ingredients, and contain no artificial flavours or preservatives. These supplements can be safely used with any other medications and feeds as prescribed. SeaFlex’ formulation uses a patented process, which keeps ingredients stable; hence the retention of high quality nutritional value, increased synergistic action with the vitamins and trace minerals. Dogs or cats that are adverse to tablets or powders.